Recorded & mixed by Schnoob at Donner & Blitzen 06. Additional recordings in Tokyo at Sound Square 0506 & in Budapst at Casa Csihar 0506. Mastered 1206. Available first at the West-Coast 777 Tour in July 2007. Gatefold sleeve with printed inner-sleeve. Limited to 7.777 copies, this is the tour edition on clear 180g vinyl, limited to 2.000 copies. Tracks listed sequentially on jacket. 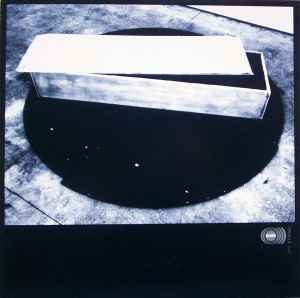 The two tracks on this release were originally released as the first disc on the <a href="http://www.discogs.com/release/968246">Oracle</a> 2CD, initially made available on Sunn O)))'s Australian tour during the spring of 2007. 'ORAKULUM was originally composed for a live performance collaboration with the New York sculptor Banks Violette at the Maureen Paley Gallery in London, June of 06. Violette created sculptural representation of SUNN O)))s entire backline in cast resin and salt, including amplifier stacks, instruments, effects & accompaniments. In addition, black laquered stage platforms and sound panels were created as a basis for the groups actual backline setup, and a selection of drawings were presented within the context. The result of this performance and collaboration, which was conducted in a sealed gallery space, was intended to generate a feeling of absence, loss and a phantom of what once was. Along with the experiment BELÜLROL PUSZTÍT, it is intended as a document of SUNN O)))s interpretation of such said collaboration.